Being an American citizen, Edu had married Vilma in Las Vegas, and then divorced her in Guam. Three to four months after their first encounter, Vilma and Ralph went MU, or mutual understanding, which is the first stage of today’s couples’ relationship. Mutual understanding meant that they could see each other as often as they liked, but neither one was committed to the other. In other words, in principle, both could go out on a date with other persons, but they might show a special devotion, a special friendship, love and understanding —that is, the two on MU—for one another. Those happy, carefree days would see Ralph attending the shooting of Tagos ng Dugo by Maryo J. He would come from school, stay in his car, wait for her, and then bring her home to Magallanes. 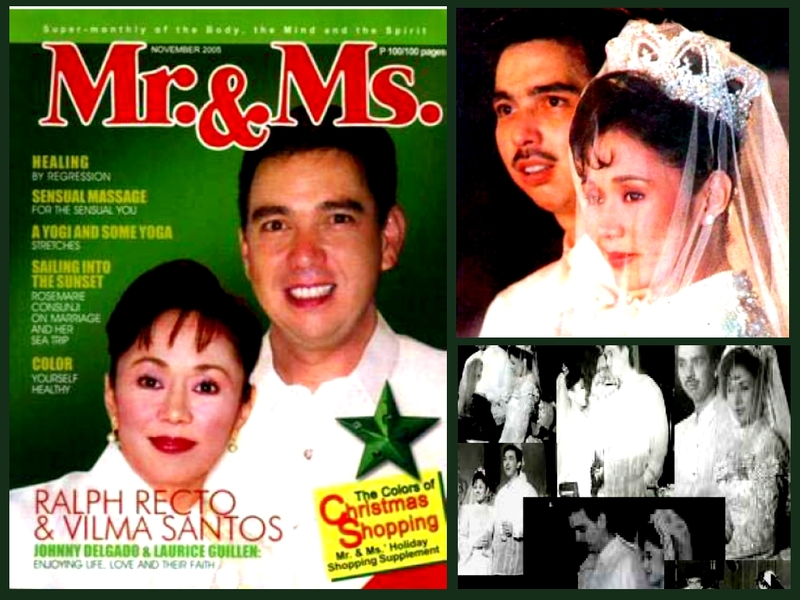 This entry was posted in ARTICLES and tagged ARTICLES, The Vilma Santos-Ralph Recto Romance, Vilma Santos. Bookmark the permalink.